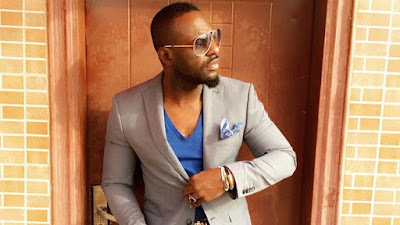 Nollywood’s ‘bad boy’, Jim Iyke, has been linked with several women but in a chat with Saturday Beats, the actor revealed that the best relationship he had with the love of his life never made it to the pages of the newspaper. He said that although they were in love with each other, the relationship ended because the lady wanted marriage when he was not ready to settle down. Iyke said, “Compatibility and love are not enough to tie the knot. I have been in love before and the truth is that one of my best relationships never made it to the pages of the newspaper. She was a girl from Barbados, she was a very special girl and we were together for one and a half years but I actually lost her. There was something she wanted me to do but I could not at that point in my life because I was a little bit too crazy, hung up on fame and indecisive about life. “She decided to make a decision for both of us by insisting I put a ring on her fingers. She wanted me to make that move or move on so that I didn’t block the space for another man because I wasn’t ready. She moved on because she was that strong even though she suffered the consequence of not being with me for a while. By the time I realised that she was the love of my life and started backtracking, a more discerning man had taken over; that was what happened. » Nadia Buari Turns To God After Breakup With Jim Iyke.